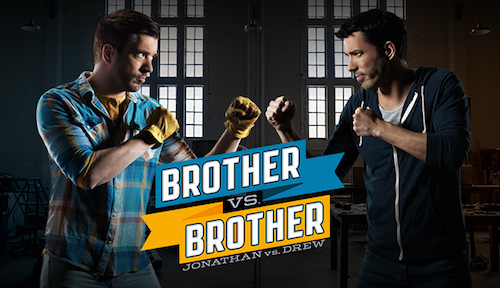 This season on HGTV’s Brother vs. Brother, Jonathan and Drew take on San Francisco’s real estate game. Each brother buys a house sight unseen, to completely remodel throughout the season. Each episode, the brothers compete by renovating the same room in their respective houses. 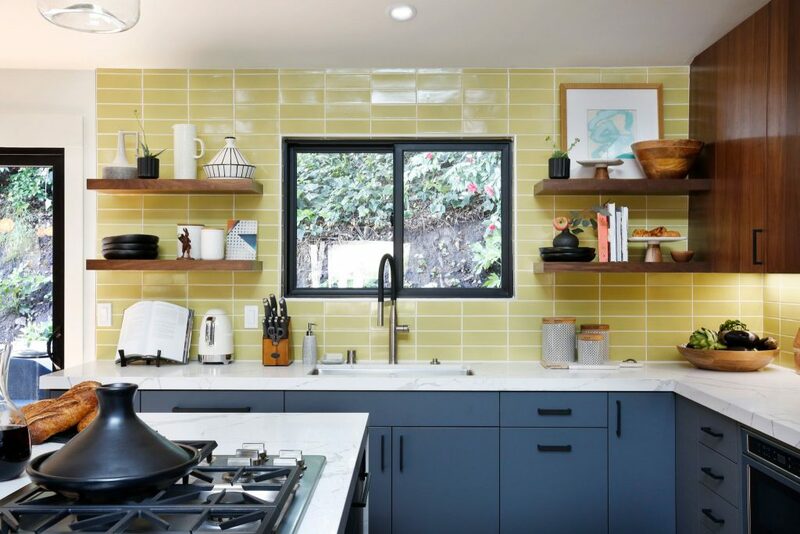 Their renovations are judged anonymously by industry professionals, and the winner is rewarded while the loser is stuck with the renovation clean up. Both brother’s design teams requested Top Knobs as the decorative hardware to serve as the finishing touch of their designs. The second episode of the season focused on kitchens. 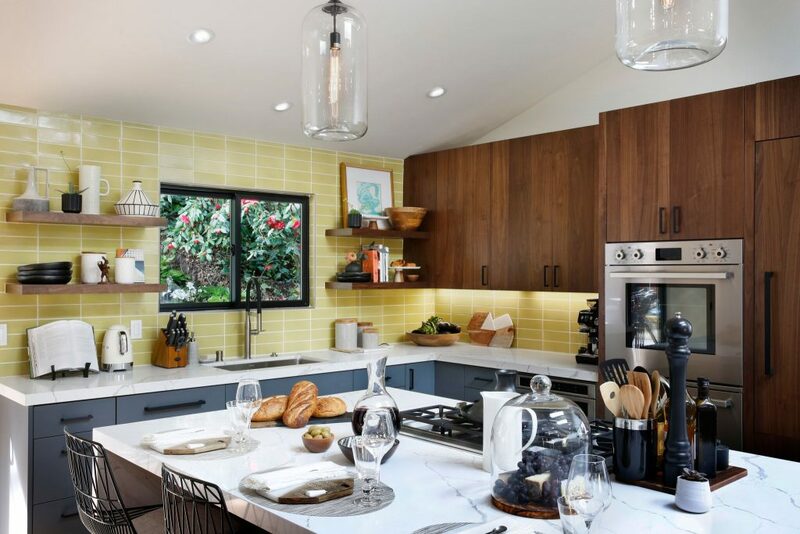 Drew worked on transforming his dated 1970’s space into a modern California kitchen, while Jonathan took a risk transforming a dingy kitchen into an eco-chic, family friendly space. 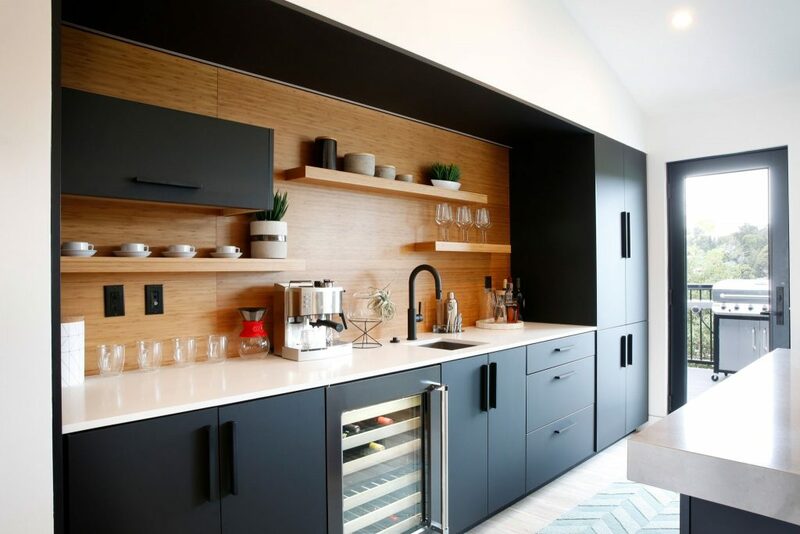 Jonathan’s eco-chic kitchen featured a natural bark wall, an oversized island, high ceilings, and unusual black cabinets with contemporary Top Knobs fixtures. The Top Knobs Modern Metro Tab Pulls in flat black added a touch of sophistication and style to the kitchen. Jonathan also converted an otherwise useless space near the kitchen into a small yet stylish powder room. 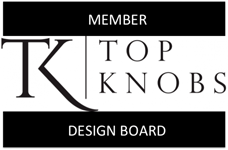 Here, he used the Top Knobs Hopewell collection to complete the space. 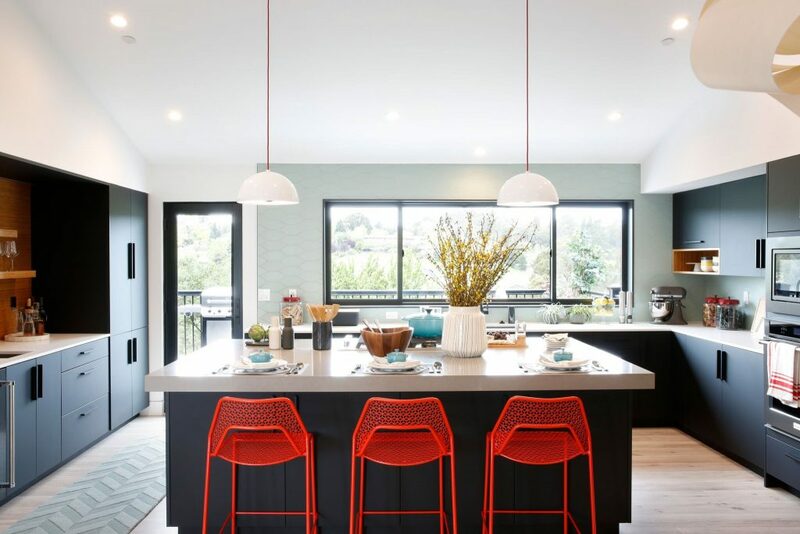 On the other hand, Drew’s modern California design featured beautiful vaulted ceilings, a concrete dining table, and floating shelves. However, the wow factor in this kitchen came from the beautiful counter tops, appliances and natural wood cabinetry. The wood cabinetry and lower cabinets were made complete with Top Knobs decorative hardware. With so many different styles and colors used throughout the space, Drew opted for a Modern Square Bar Pull to pull the design together. Leanne and Steve Ford of HGTV’s Restored by the Fords were brought in as guest judges for the kitchen showdown. While they admitted it was a very close call, Jonathans classic yet modern kitchen design and unique black cabinets them over. For his win, Jonathan was awarded an exclusive Star Wars and Lucas Films tour, while Drew was left with the renovation clean up.